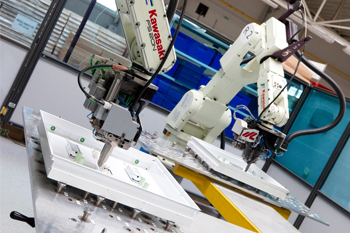 For many wiring operations, OMS uses KAWASAKI wiring robots. The wiring head’s unique design makes it possible to perform all the operations needed to connect the individual components of the light fixture: cutting exact lengths, insulating wire terminals, the precise embedding of wires in the light fixture and the actual connection. In addition, programming of the robots allows for quick and simple wiring changes. 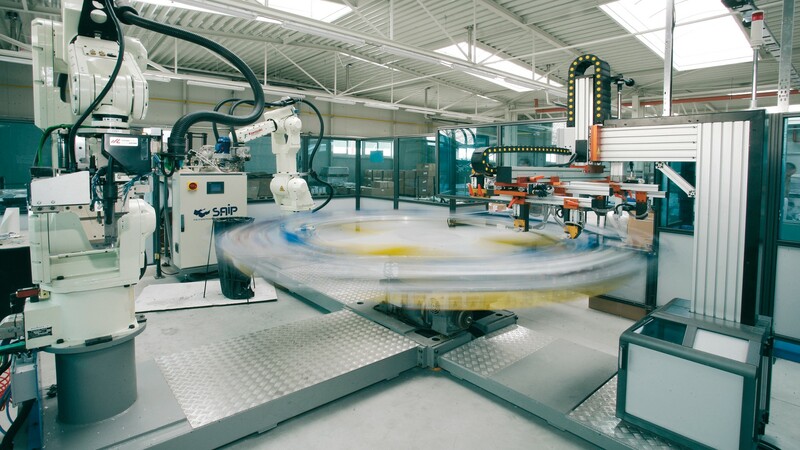 Use of the machines allows OMS to reduce operating costs for large-scale production by reducing the time needed to create each lighting fixture, enabling great production flexibility, allowing the use of standardised components and the meeting of quality targets.